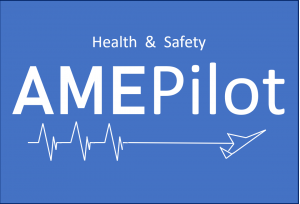 Welcome to AMEPilot, a new feature of SCAUWG.ORG presented by Aviation Medical Examiner - Gregory J. Hanker, M.D. – Dr. Hanker is an orthopedic surgeon practicing at the Southern California Orthopedic Institute in Van Nuys. Dr. Hanker’s primary goal as an Aviation Medical Examiner and the author of AMEPilot is to assist the local aviation community in obtaining their medical certification, especially complex cases where FAA special authorization may be necessary. AMEPilot is a quarterly authored contribution written exclusively for SCAUWG.ORG. This FIRST EDITION -SPRING - is addressing the behind the scenes, rarely known items about how to prepare for and what YOU CAN DO to make your Medical proceed easy and fast! Underlying medical issues can be addressed successfully. When properly prepared and with the proper documentation, only a very small percentage of applications for a medical certificate are denied. Dr. Hanker details how you can mobilize your application for success within the best possible timeframe. This edition details how! Aviation Medical Examiner Gregory J. Hanker, M.D., an orthopedic surgeon practicing at the Southern California Orthopedic Institute in Van Nuys. and currently a general aviation pilot flying out of Van Nuys Airport. Dr. Hanker’s primary goal as an Aviation Medical Examiner (AME) is to assist the local aviation community in obtaining their medical certification, especially complex cases where FAA special authorization may be necessary.